When Ruth was around ten years old, her two teenage sisters gave her a homemade gift certificate for Christmas promising her fabric, a dress pattern, and guidance as to how to turn them into an actual garment. Ruth has been sewing ever since. 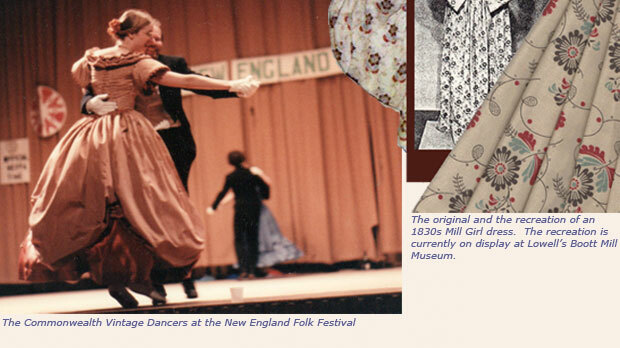 By high school, Ruth was doing costuming for a local summer theatre group. Following graduation she took a summer apprenticeship with an equity theatre on Boston's north shore. She attended Michigan State University as a Clothing and Textiles major w/theatre emphasis but, despite her honor standing, chose to leave school after four trimesters. Over the years Ruth has developed a rich background in period clothing. She has done costuming for the Commonwealth Vintage Dancers, and worked for the National Park Service recreating a mill girl's dress. 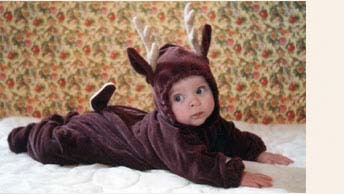 Needless to say, this woman's children were forced at a young age to suffer through ridiculous costumes. 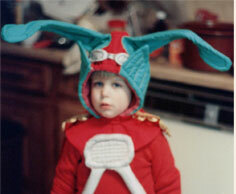 At least, they were until they were old enough to request ridiculous costumes for themselves. Ruth's primary occupation through a large part of her working life has been that of a bridal seamstress. 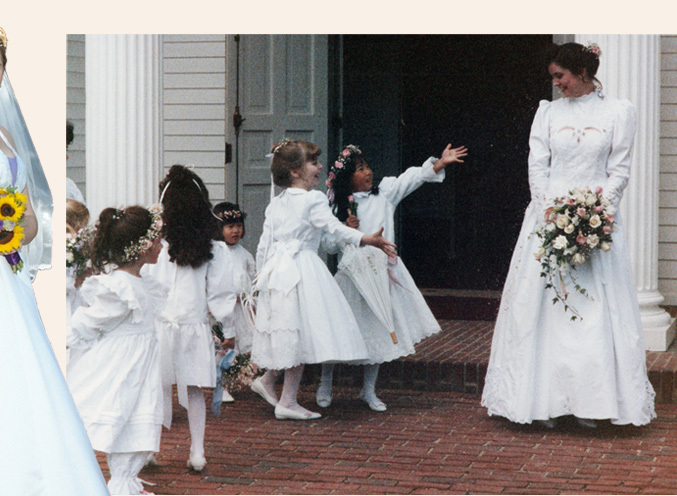 For sixteen years, she created many of the gowns sold by Maggie Flood Bridals of Sudbury, Massachusetts. In Ruth's busiest year she made over 200 dresses, which puts a conservative estimate of her lifetime gown output somewhere north of 2000. For more sewing related projects, see the "Designer" section of this site. Having eventually had her fill of the bridal business, Ruth spent a decade working in the sample department of Regal Fabrics before taking an R&D job with New Balance making prototype athletic shoes. For many years she also had sewing and design arrangements with both a hand weaver and a dancing school owner. For the weaver, she created jackets, hats, and bags out of an assortment of unique fabrics. For The Dancing School of North Reading, she aided the owner in finding ways to produce showstopping costumes within budget constraints.